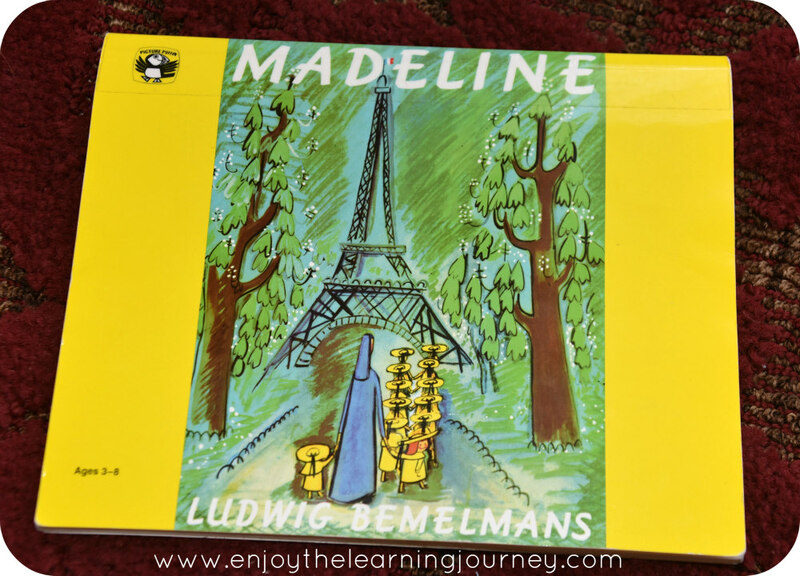 If you are looking for a fun unit study or to dip your foot into Five in a Row, then Madeline by Ludwig Bemelmans Full Disclosure: We earn a commission if you click this link and make a purchase, at no additional cost to you. would be a great choice. 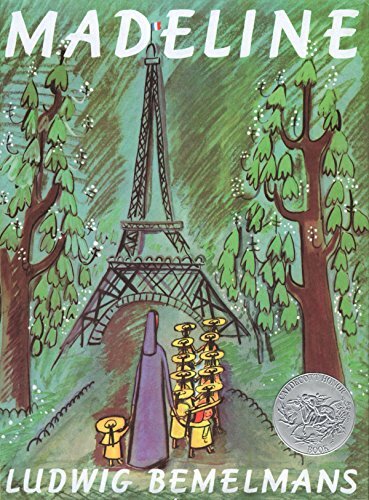 We just completed a week of reading the Madeline books and a couple of weeks studying Paris and France and it was so well-loved by the kids. We read Madeline five days in a row, because that’s part of the deal with the Five in a Row curriculum. 🙂 If you are interested in knowing why we switched gears mid-year, you can read more about my decision to use Five in a Row. 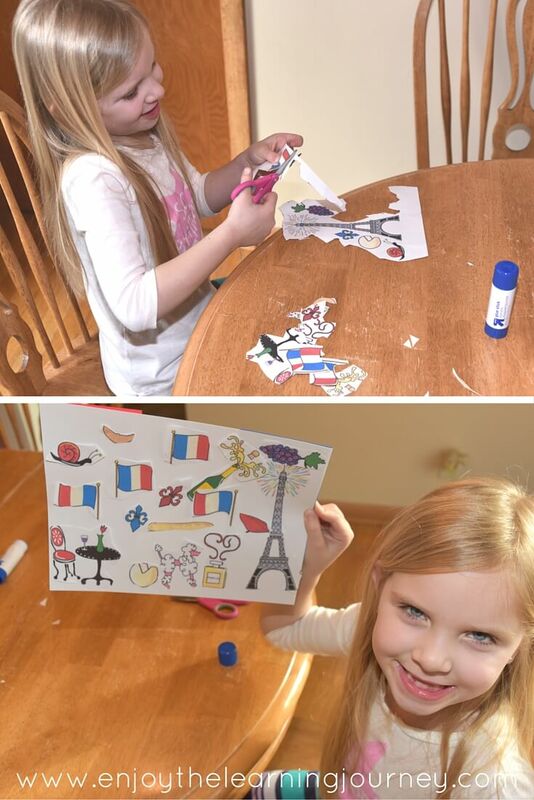 With Madeline, we completed various studies of Paris, France and learned a few things about the human body. Our study of Paris began with a week of Mirette on a High Wire and we just continued with it right into our Madeline study. We read quite a few books and stories about France or that take place in France and discussed them and completed follow up activities. (Books listed below and on the Mirette on the High Wire page). 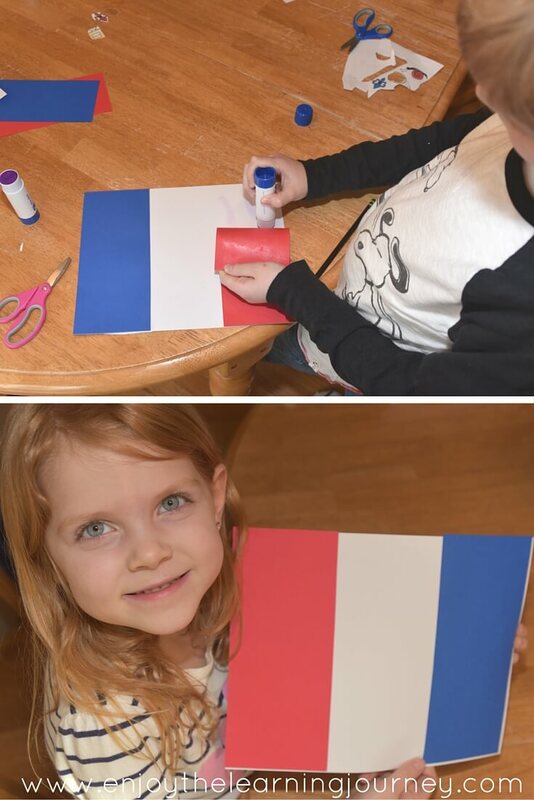 The children used card stock to make their own flags of France. On the backside of each one they cut out some graphics I found online to represent France and pasted them down. Then they added their beautiful French flags to their journals/binders. Although we didn’t create actual lapbooks, I printed off some pages of the free Lapbook Unit Study printables from Homeschool Share and the children pasted them onto pages to add to their journals. We used some of the pages from both the Madeline and France unit studies. I didn’t print all the pages available, but rather had them complete the pages I thought they’d find most interesting and were relevant for us. (Note: I didn’t take photos of all the pages we completed so we did a few more than what is shown). I borrowed the French Playground CD from the library and the girls spotted it immediately and began playing it. It was fun to hear this French music playing from various rooms as they moved the boombox to whichever room they were in so they could listen to the music. 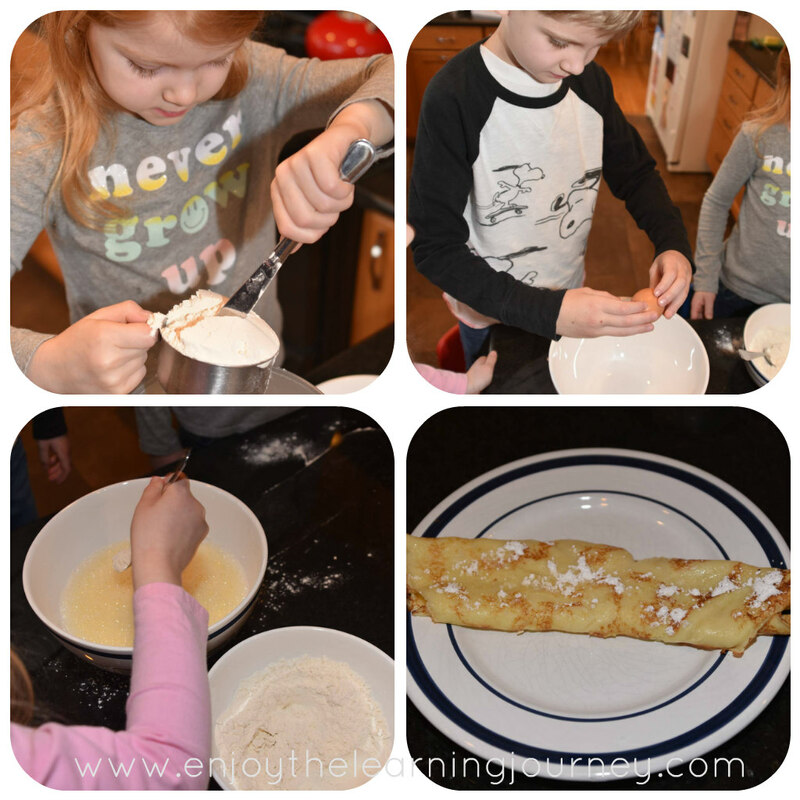 The children and I also made crepes one morning which they loved! If they can cook or bake something sweet they are all about it. 🙂 We used the French Crepes recipe from All Recipes. Yum! One of the children’s favorite parts of this study, if I’m being entirely honest, was watching the movie, Madeline Full Disclosure: We earn a commission if you click this link and make a purchase, at no additional cost to you. . They all absolutely adored the movie and watched it not just once, but twice! 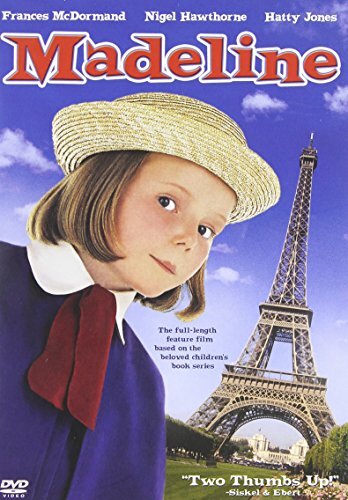 The kids were able to relate different parts of the movie to different Madeline books and point out things from the movie that weren’t in any of the books at all. So we compared and contrasted. You could certainly add a Venn diagram to this and have your older children complete their own and/or complete it together with your younger children. 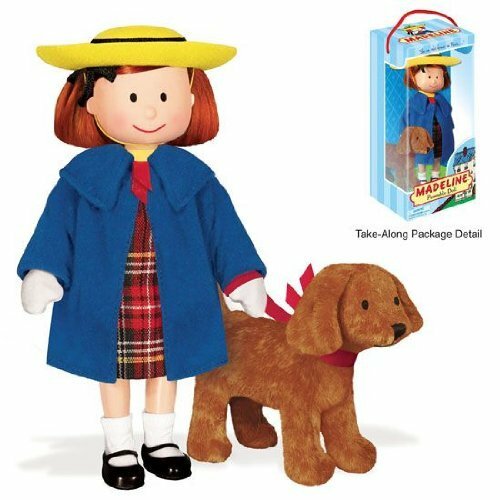 The Madeline.com website has some good resources, including history, information about the author, and some free printables. 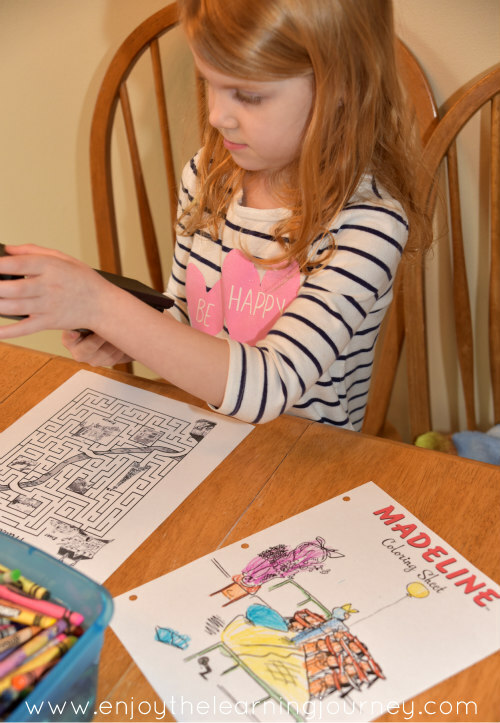 My girls love to color so I printed a coloring page for each of them, mazes for all three of them and the info sheet on how to draw Madeline. I don’t like to give the kids busy work so the reason I included these things is because I knew they’d enjoy them! 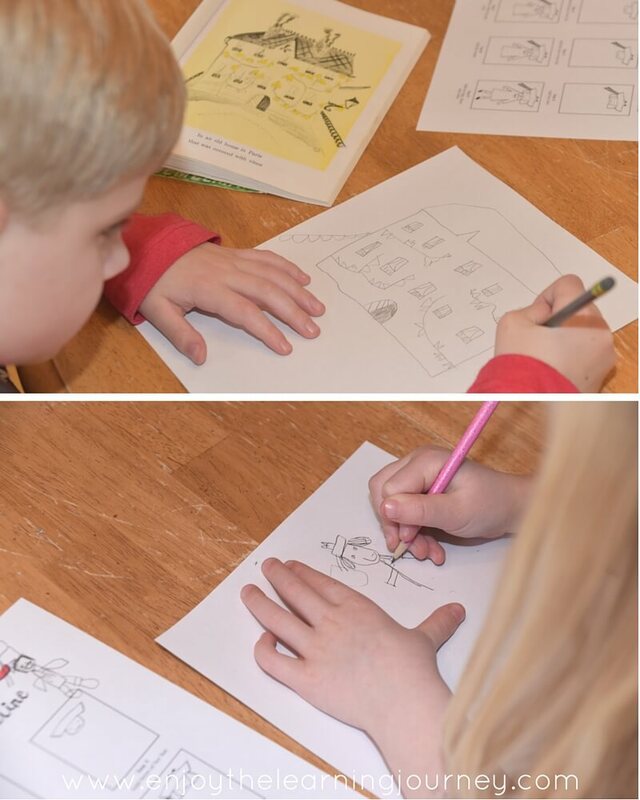 The girls drew pictures of Madeline and Kellan decided to draw a scene from the book and he added Madeline to it. I was a happy momma to see him take the initiative to do this all on his own. The children then added their pictures to their journals (I put the drawings into sheet protectors so that they didn’t have to put holes in them from the hole punch). We made Madeline hats out of paper bowls and plates and Kellan made one too, he just left the ribbon off so it could be a “boy hat”. 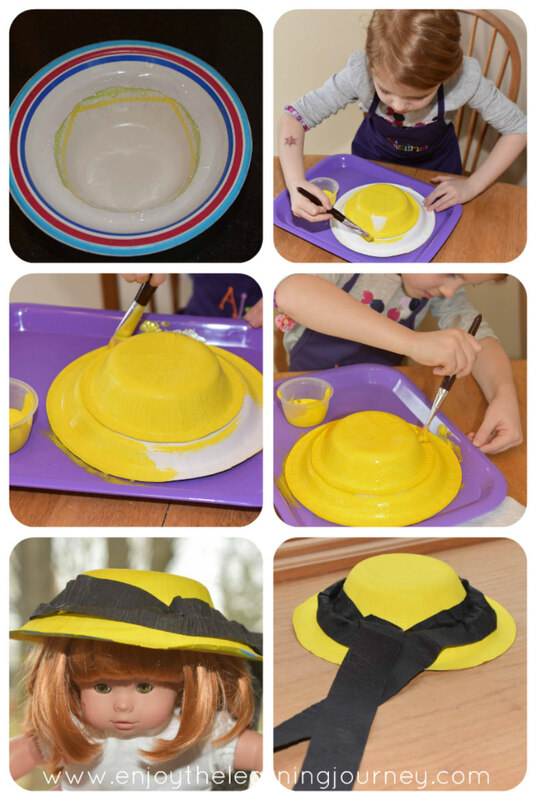 If you are interested in making your own Madeline hats, it’s fairly simple. First, cut a hole in the paper plate and tape the bowl to the top of it (I used packaging tape). Then, paint it yellow with tempera paint. And last, glue a black ribbon around it (I used black crepe paper for streamers). Voila! Our own little Madeline hats. And if you don’t want to make a craft hat then you can always purchase a hat. 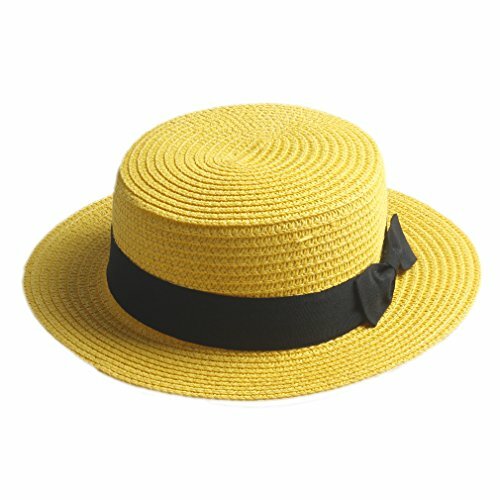 This one would be great for a girl who wants to wear a Madeline hat!! In the story, Madeline has to have her appendix taken out so we talked about what an appendix is and read a couple parts of the book The Digestive System by Christine Taylor-Butler. 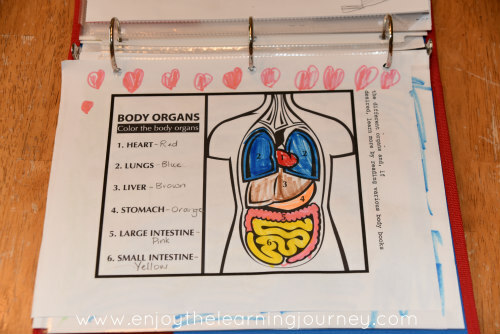 The children also identified and colored in the body organs from the free Madeline lapbook printables. The Eiffel Tower Full Disclosure: We earn a commission if you click this link and make a purchase, at no additional cost to you. by Sharon Katz Cooper was excellent. 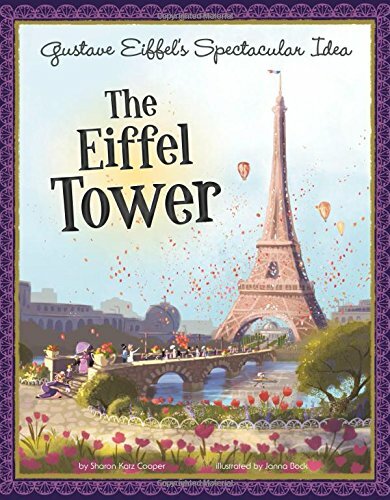 The story kept the children’s interest and taught them (and me) about the history of the Eiffel Tower. If you want to teach your children a bit of it’s history, I’d highly recommend this book. 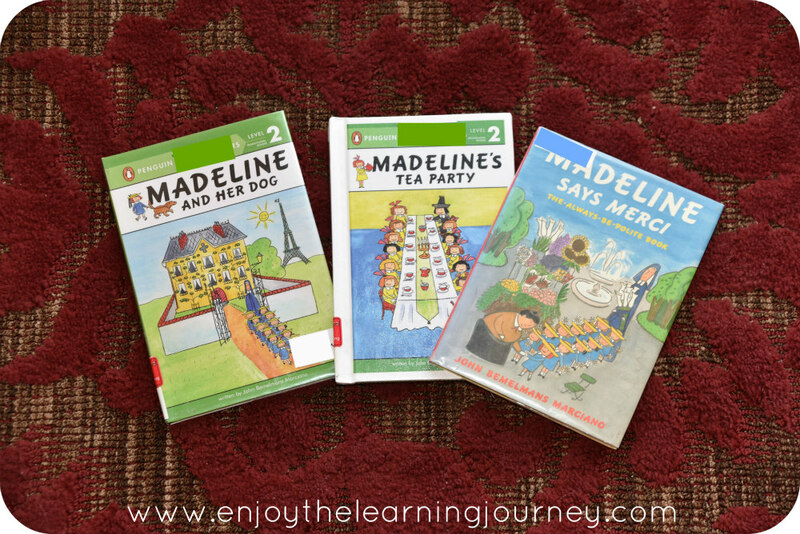 Although, these next three Madeline books weren’t written by the original author, they were written by his grandson and certainly contain the same spirit as the originals. Since our girls are learning to read, I knew these would be a good choice for them to look at and pick out words they know. 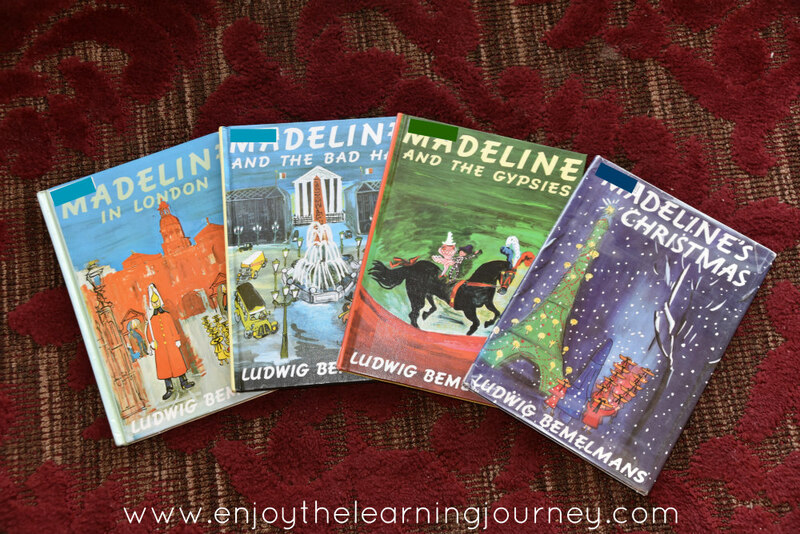 And if you are looking for additional Madeline books by the original author, Ludwig Bemelmans, there are five to choose from. There are a few things in some of these books that you might find objectionable so, as always, preview the books before reading them to your child. We didn’t get to all of these but did read a few of them. Overall, this was our favorite study thus far! The kids all really enjoyed it and I did too. 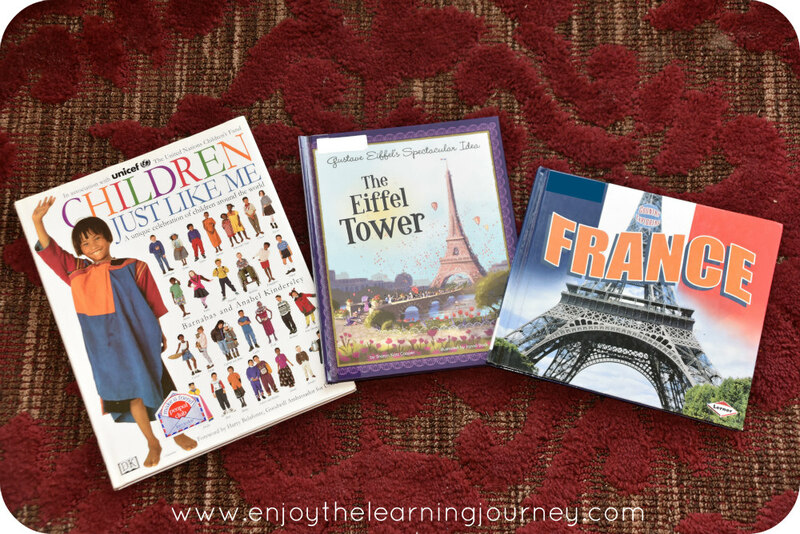 What a great book and a great opportunity to learn about Paris, France. 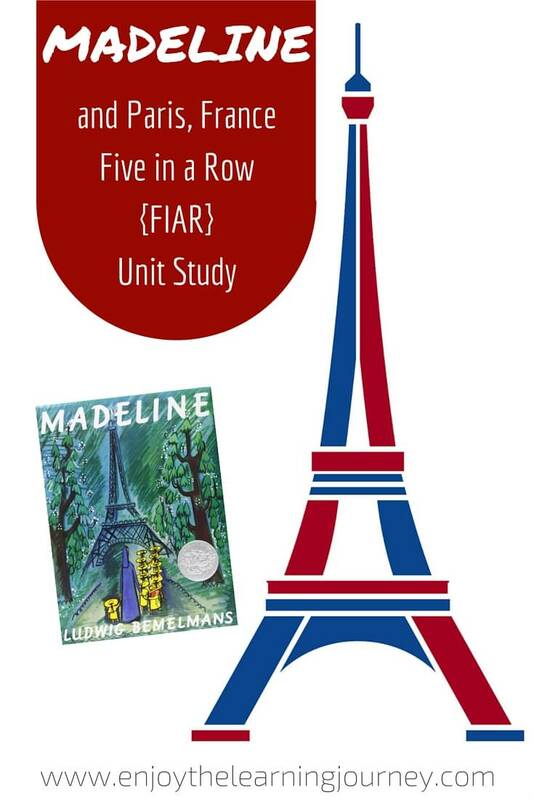 Hop on over to our Mirette on the High Wire unit study to find out what other books we read about France and Paris. Hi – I was looking at my Pinterest and I noticed that my French song has been pinned thousands of times, so I was curious to where. That’s where I found your blog and that you had kindly shared my video of Bonjour Mes Amis. 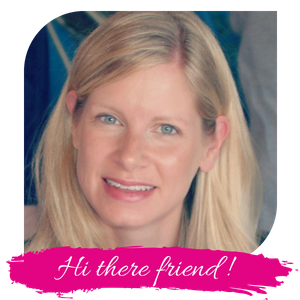 I was so delighted to see that you had seen my French video many times – I play it in the background for my own classes while children work on crafts. It must be hard home-schooling your children, but from reading your blog, it looks like you do a really good job of it and have so much fun. I shall stay tuned! If I can help in any way with any French materials, let me know. There’s now a download pack freebie attached to the BMA video via YouTube. Thanks so much for sharing, and I’m glad the children enjoy the song. It makes it all worthwhile! Hi Natasha! Thank you so much for creating a wonderful video that children can enjoy and learn French with! Having fun while we learn is so important to me. So I really appreciate people like you who create tools and resources for learning that also make the process fun for my kids (and me)! And thank you for letting me know about the downloadable freebie pack. I will be sure to check it out. Best wishes and thank you again! !